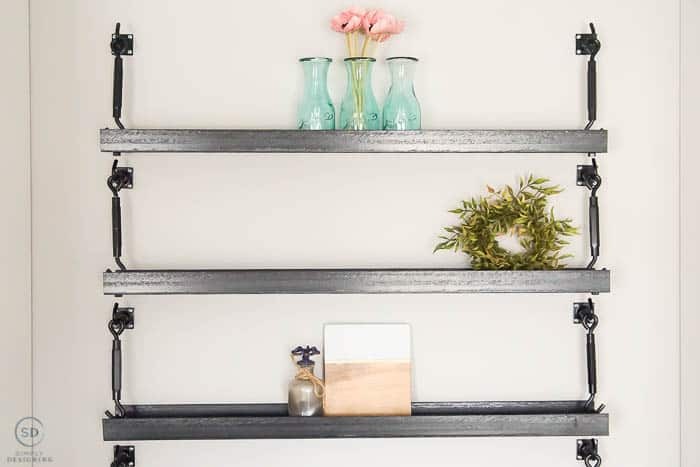 These fun and functional Industrial Metal Shelves are a great way to add incredibly stunning shelves to your space that are both beautiful and functional. 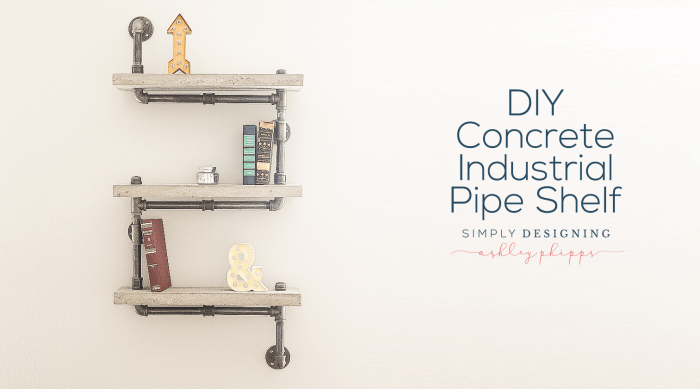 Of course these Pipe Shelves I created a while ago are still favorites of mine (check them out HERE), I really just love that these new Industrial Metal Shelves are made entirely of metal and they are easy enough that anyone can make them! 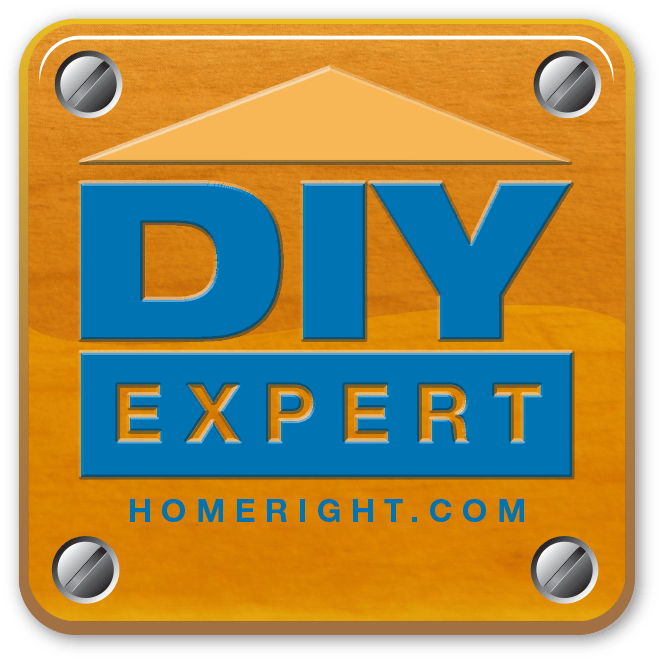 A big thank you to HomeRight for sponsoring this post about my Metal Shelves. All ideas and opinions are mine. This post contains affiliate links and purchasing anything through the links in this post gives me a tiny commission, however, you never pay a penny more. 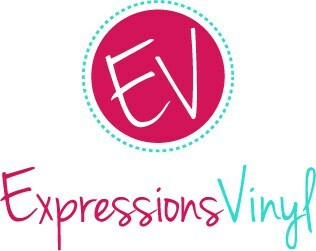 Thanks so much for supporting my blog. 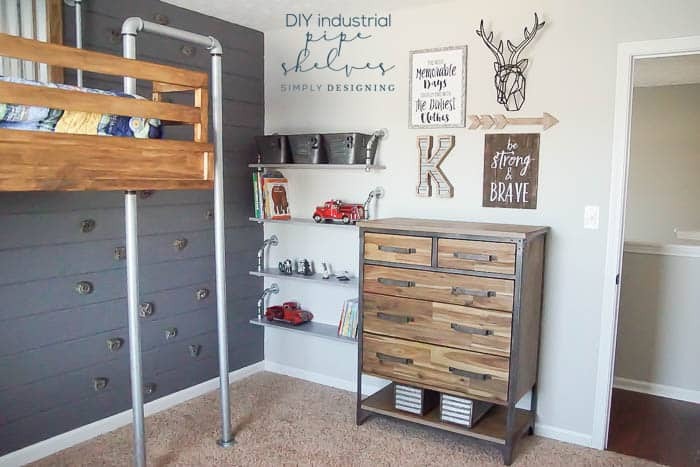 You can read more about these Metal Shelves on the HomeRight blog HERE. 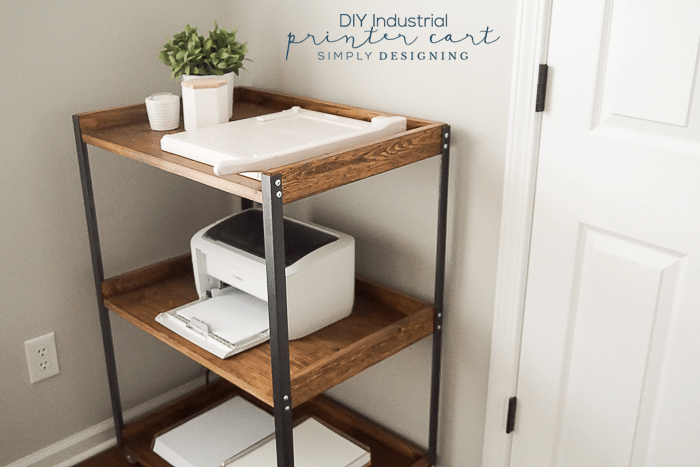 You all know that I love a look that combines farmhouse and industrial elements and when I knew I needed a few more shelves in a space in my home, I knew I wanted to create something that wasn’t just functional but was also a piece of art! 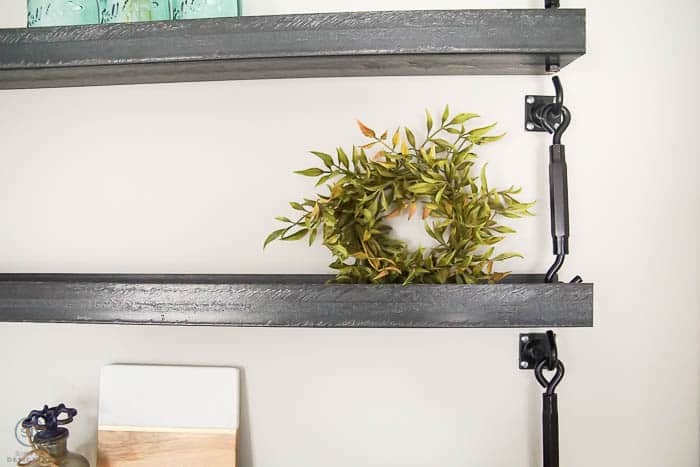 Shelves don’t have to just be functional, they can be beautiful too! 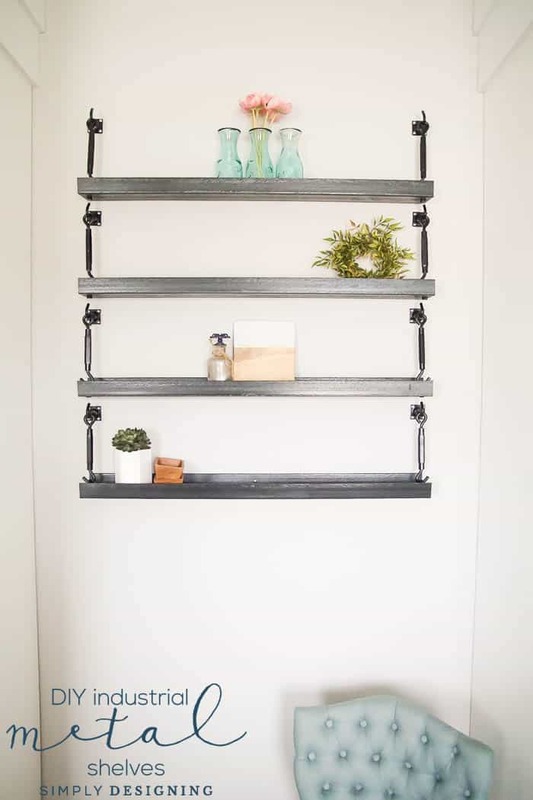 And these DIY Metal Shelves are the perfect combination of it all. I wanted to create something unique, entirely of metal but also something that didn’t require welding, difficult skills or tools that you may not have. So we did a little brainstorming, visited my local metal shop and came up with the coolest metal shelves ever! I wanted a little lip on my shelves so that things wouldn’t fall off, so we decided that U-Channel would be the perfect starting point. 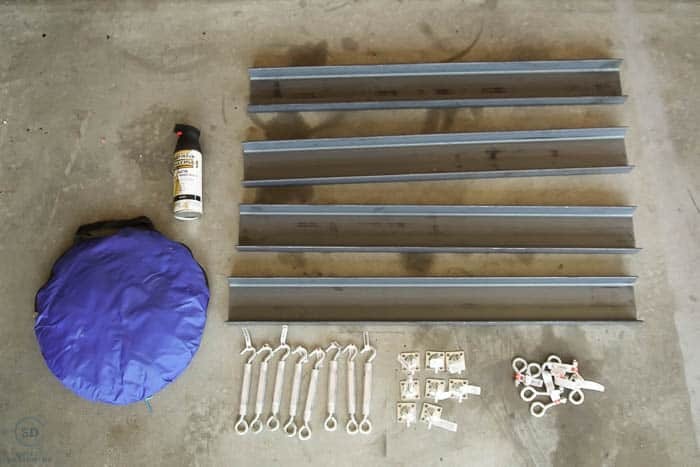 A few turnbuckles and eye bolts and our idea started to come together. 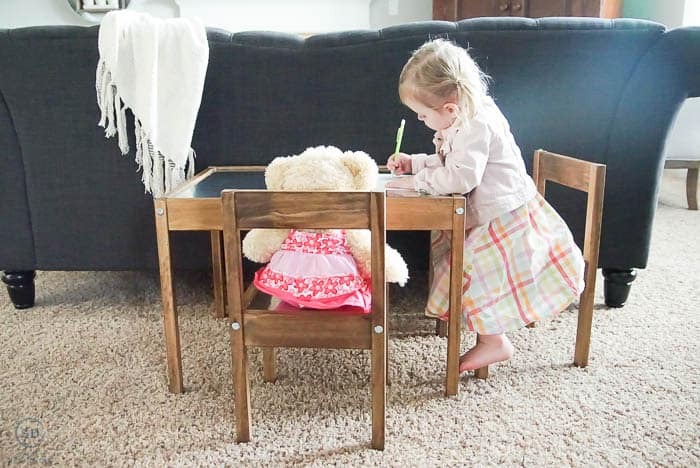 We created 4 shelves, but I will walk you through what we used and how we created one shelf. 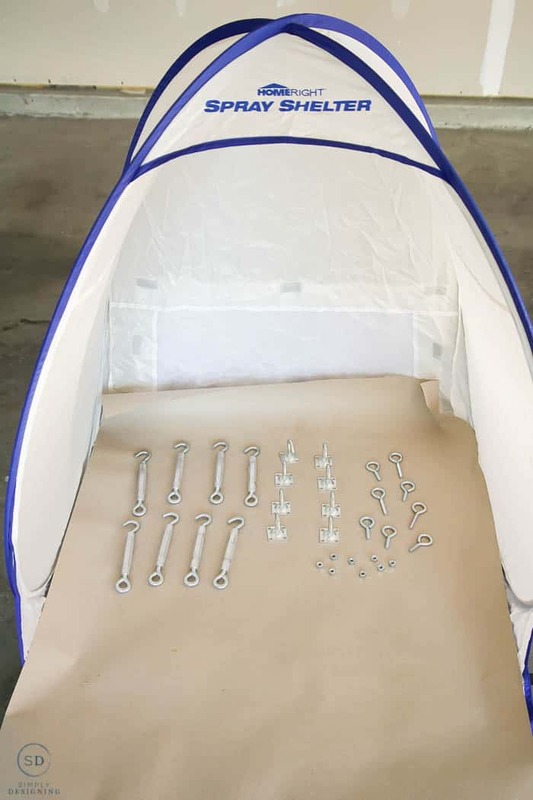 I began by putting my Spray Shelter up in my garage and placing my hooks, turnbuckles and eye bolts in it. 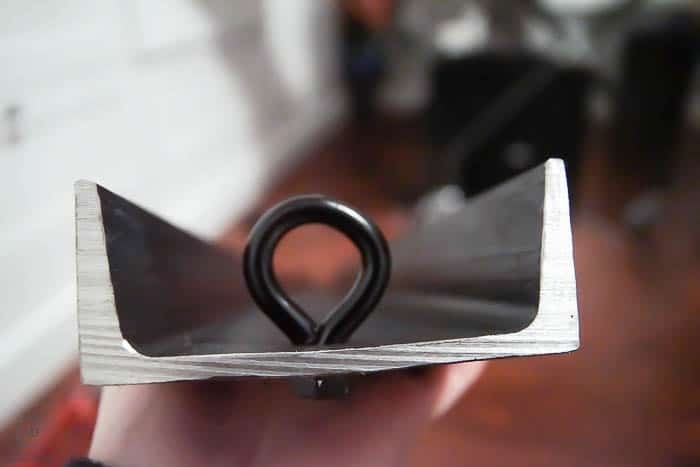 These parts and pieces were galvanized steel and I wanted them to blend a little bit more with the steel channel. 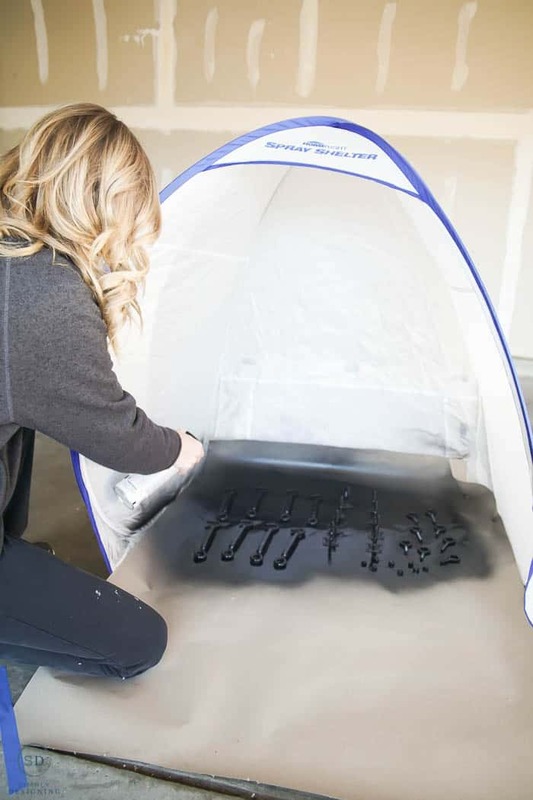 And even though it is cold here, I can still spray inside my garage or even my home and I love how the Spray Shelter helps to keep the overspray contained. 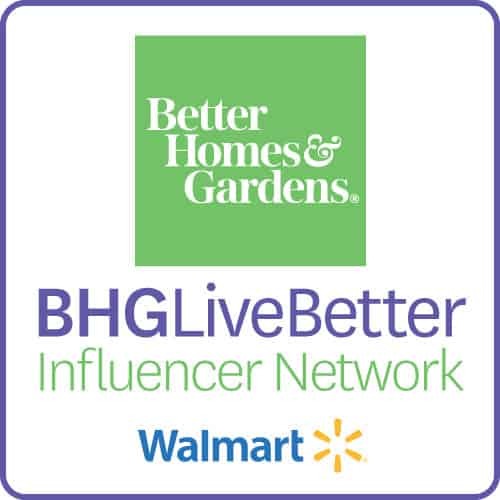 Go to the HomeRight blog HERE where I talk more about this amazing product and how it is perfect for all your winter paint spraying projects. While the spray paint was drying, I decided to start drilling holes in my U channel. You can use a drill, but I found a drill press to be much easier since the steel was thick and I had a lot of holes to make. 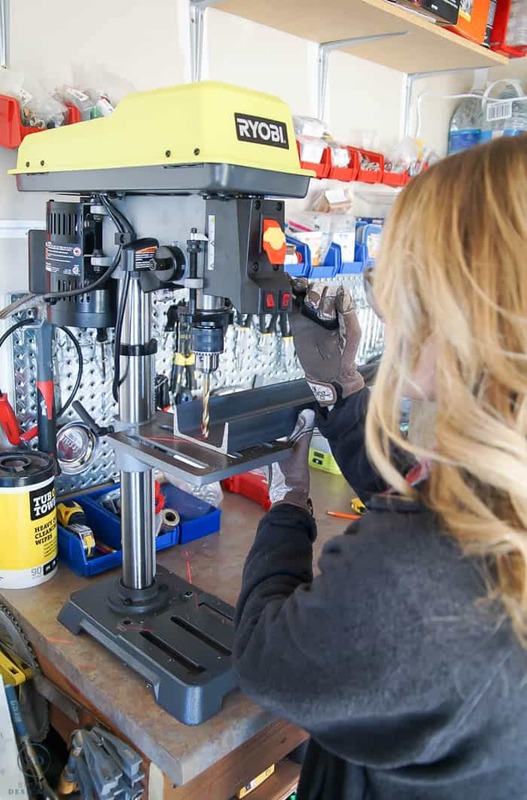 You will want to use a Titanium or Black Carbon drill bit to drill through steel. They will last longer and work better when drilling through steel. I made two holes on either end of the U Channel and one in the middle of one of the side. After all of the holes were drilled we quickly used a metal grinder to soften the edges of the U channel just a bit. Then we placed the eye bolts in the holes in both ends of the U channel and tightened them in place. We measured and attached the U channel to the wall using the hole in the side of the U channel and a drywall anchor. 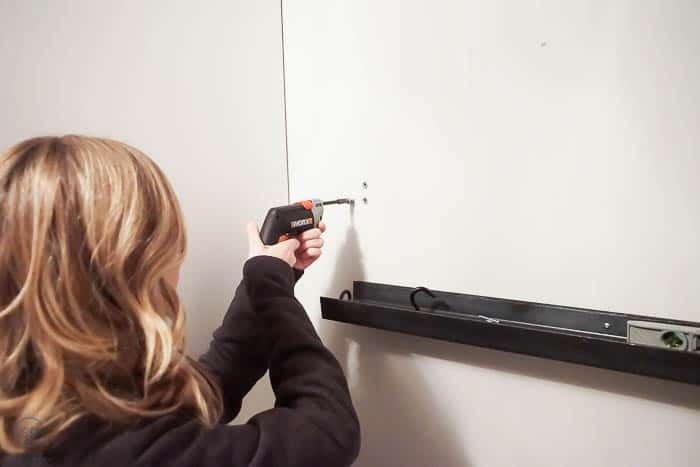 If you happen to hit a stud, then you won’t need a drywall anchor. 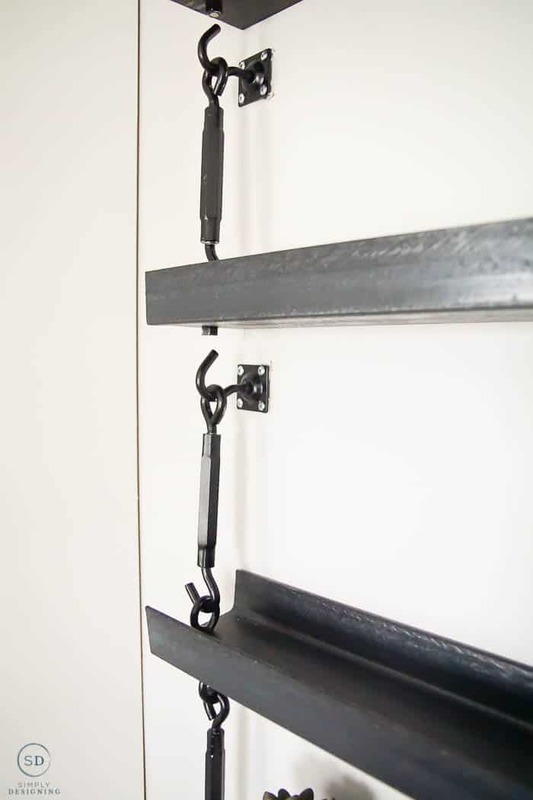 It is best if you can have a second set of hands to hold the U channel stable and level while attaching the clothesline hooks into the wall using drywall anchors too. 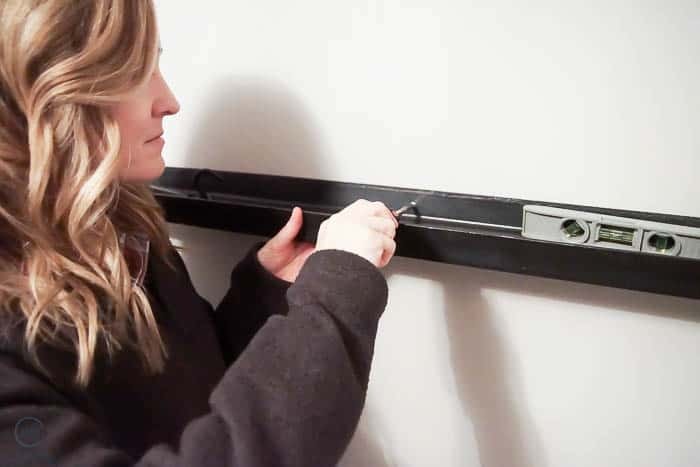 The turnbuckle will need to go from the clothesline hook to the eye bolt, so be sure to have that in place when putting your clothesline hanger into the wall. Again, if you hit a stud, you will not need drywall anchors. When all was said and done, each u channel shelf will be hung in place using 9 drywall anchors and screws so it is incredibly stable. And the black parts and pieces blend in so much better with the U channel thanks to a little spray painting job I could easily do indoors no matter the weather! 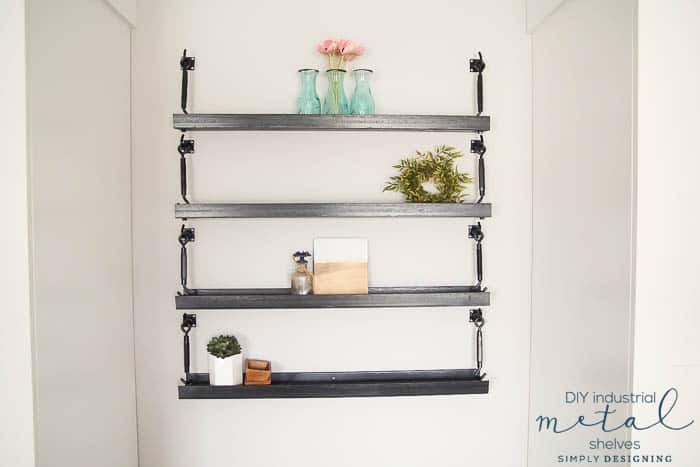 This project was so much fun and I just love love LOVE how the metal shelves turned out! 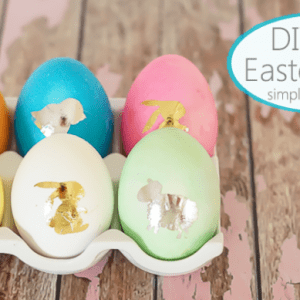 You can, of course, decorate them any way you like! I added a few things on each shelf but have some fun place for these shelves in the future! These are AWESOME! 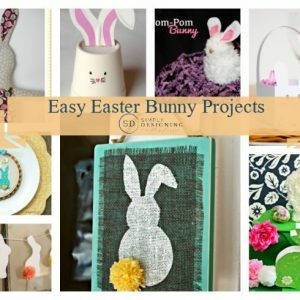 I definitely want to make a few of them in my bathroom! That spray shelter is the cooletst thing! 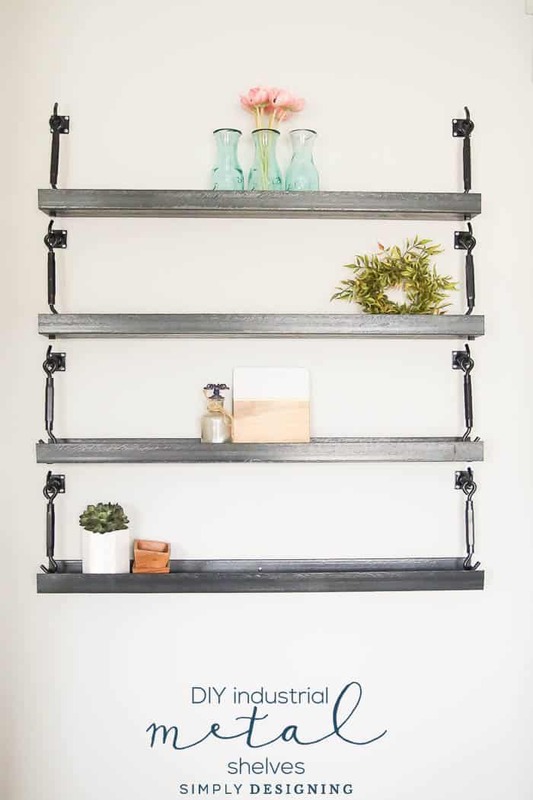 Love these gorgeous shelves!